A second hand stove can save you a lot of money. You can get a great appliance for significantly less than the price of buying new without compromising on quality or lifespan. When you buy a second hand stove from Appliance Services, you know that your oven has been properly cleaned, inspected, parts replaced if needed and that it's covered by a warranty. Also important is the free delivery that you get with our stoves. Ovens & Hobs are heavy & awkward, let us take care of it and give you the peace of mind that your stove will be installed without any damage to it, your vehicle or your property. Will it fit? If you are rebuilding your kitchen then you can design around the appliances, but if it needs to slot into an existing space then make sure you measure and buy accordingly. Stop into our show room and we can talk through what sort of stove will suit your needs best. Appliance Services has a range of second hand washing machines available for purchase from our store in New Brighton, Christchurch that range in prices from $595 to $695 including our 12 month guarantee. We are so confident that our Overhauled cooking appliances will keep you in hot food, that we offer a guarantee / warranty for your buying peace of mind on our premium range of ovens, hobs & stoves. 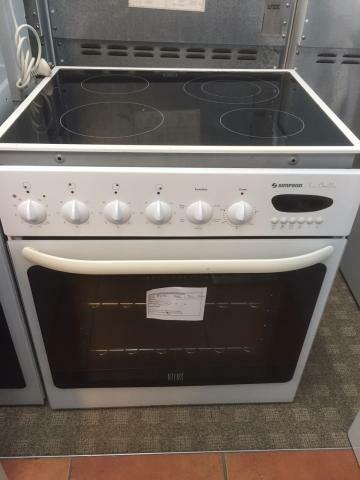 The length of time your cooker will be covered is clearly displayed on each second appliance in our New Brighton store. All of our whiteware are marked with 3 month, 6 month, or 12 months of coverage - we'll put it in writing with your purchase for your peace of mind. Friendly helpful team, great service.